One of the things that amazes me is how simple the Apostle Paul reflected on giving, and how complicated we tend to make it. He shares some excellent principles in two chapters (eight and nine) in his second letter to the Corinthians as he speaks to the believers there about helping out others who are suffering in Judea. Notice the first thing Paul says is that he makes it clear he is not commanding the Corinthians to give, but he then gives an example of the generosity of our Lord Jesus Christ. We might not think about Jesus being rich because we have this image of a poor itinerant preacher, but think about a couple of things with me: God is incredibly wealthy - beyond belief! He has streets with pure gold and gates made from pearls. His pattern for the tabernacle was to use implements of gold; the Arkof the Covenant was covered in gold! Heaven and earth belong to God. Jesus left all the wealth of heaven to walk this earth. And yet, in His earthly ministry, he still had enough resources that he needed a treasurer! He even gave the job to someone he trusted, Judas (who proved himself a thief and a betrayer). You may not realize it, but Jesus also had financial supporters who helped Him and his entourage. Can you imagine traveling with at least twelve hungry dudes - not to mention the women that followed Him. They had to be fed and taken care of. Where did they stay in the wintertime? Even Israel gets snow. I love how Paul brings it all together with these verses. We are to sow and give as we decide in our hearts to give. That is what grace teaches. You "shouldn’t be sorry that you gave or feel forced to give," or feel that if you don't give God won't bless you. God has already blessed you! He has given you all things that pertain to life and godliness. How - through your giving? Not through your giving, but through the knowledge of our Lord Jesus Christ! (2 Peter 1:3). We are blessed because of what Jesus gave at the cross, not because we gave in the plate. We should give, just not grudgingly or feeling like we were compelled - but we should give with cheerful hearts! Why? Because by giving, we are declaring that we trust God with our lives, and besides, He loves a cheerful giver. It all belongs to Him anyway. I love that grace is involved with giving. Grace is so involved that "God will give you his constantly overflowing kindness. [Grace] Then, when you always have everything you need, you can do more and more good things." 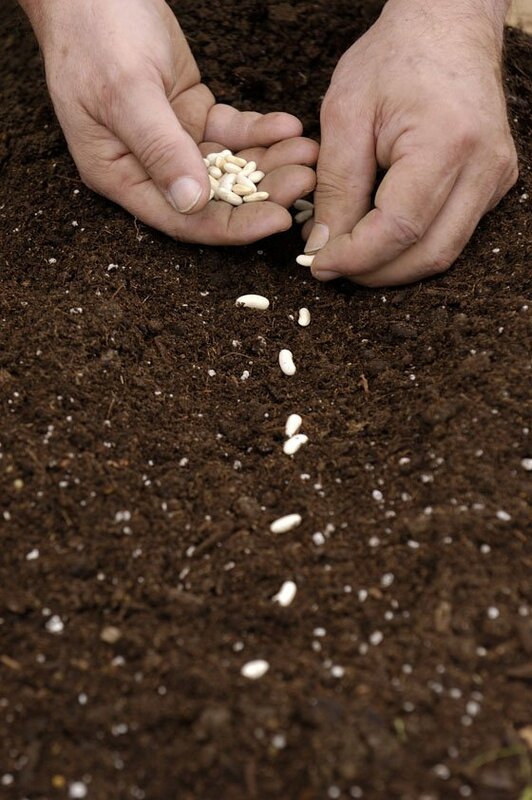 God even gives us the seed to sow. He gives us the seed, He gives us the harvest. His desire is "make you rich enough so that you can always be generous." That is what I call prosperity with a purpose. That is why we can give cheerfully!